This bowl of noodles blew me away because I couldn’t believe how close to “the real thing” it was. 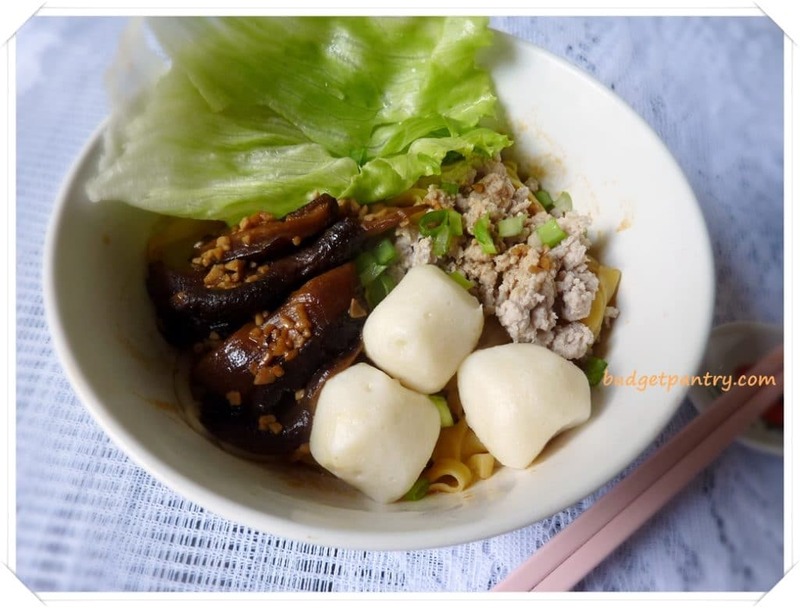 Really, this recipe should be in anyone’s survival kit, you know, just in case you get stranded in some unthinkable place away from Bak Chor Mee, at least you won’t die (or feel like dying). 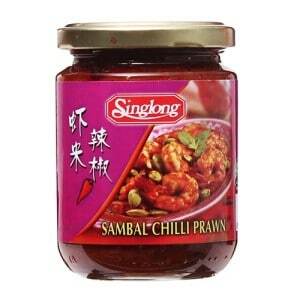 You can also use Taho sambal belacan chilli, my new love! 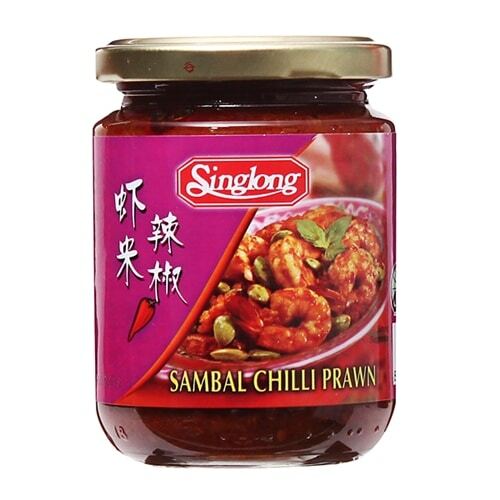 This is an extremely versatile dish that you can whip up in your kitchen. 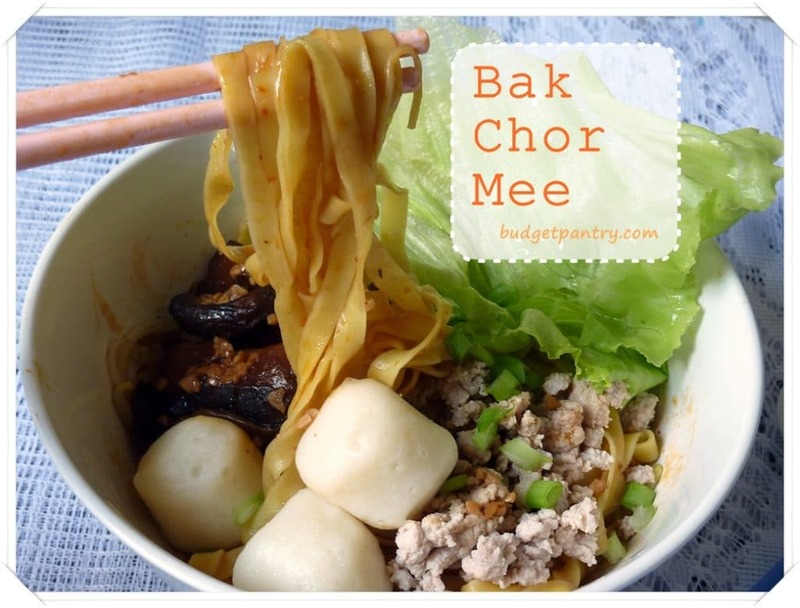 The bak chor mee you eat outside usually have fried lard and lard oil added.. I chose to go the healthier route. It was still delicious! Jason asked for bak chor mee again the next day and I told him to eat it at the kopitiam. Haha! Prepare the mushrooms. Heat up a teaspoon of oil and add the minced garlic. Fry for 2 minutes, then add in all the seasonings and reserved mushroom liquid. Bring to boil and lower heat. Simmer for 20-30 minutes til mushrooms are soft. Prepare the minced pork. Marinate pork with all seasonings for 30 minutes. Heat up a pot bit enough to cook noodles (later) in. Bring water to boil and drop in the fishballs and meatballs (if using). Cook minced pork in a sieve (so that they don’t get dispersed around). Keep moving your spoon or ladle back and forth to ensure pork gets cook thoroughly. If your pot or sieve is too small, cook in batches. 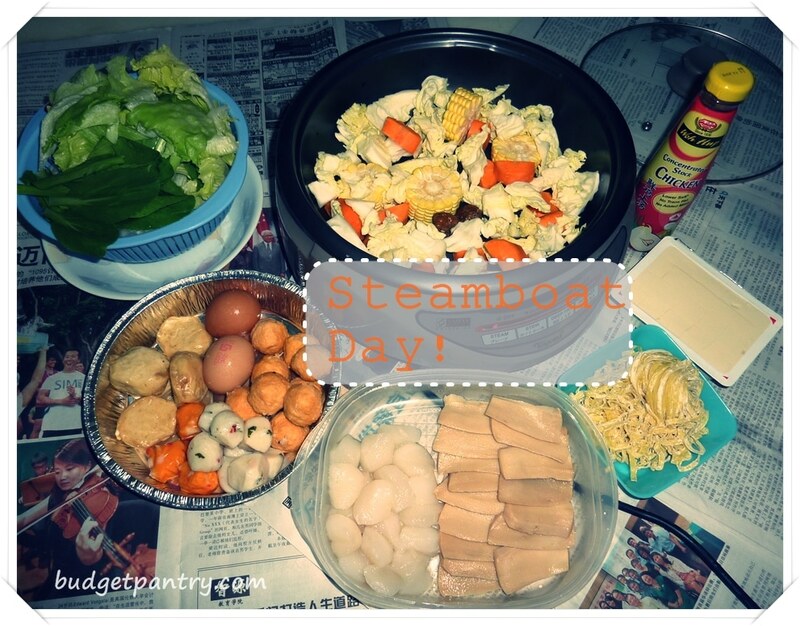 Drain the meat, scoop out the fishballs, meatballs and set aside. Prepare the sauce for noodles. In a noodle bowl, combine all the sauce ingredients + 1 tablespoon of meat stock from step 2. Mix well. Prepare the noodles. In the same pot, place noodles and beansprouts in a sieve and cook portion by portion. First, dunk in the sieve for 20 seconds. Quickly remove and run under tap water. Return to pot and cook for another 30 seconds. Be sure to keep twirling the noodles with chopsticks to keep things going. Drain the noodles quickly and drop into prepared bowl. Mix and coat well with chopsticks. 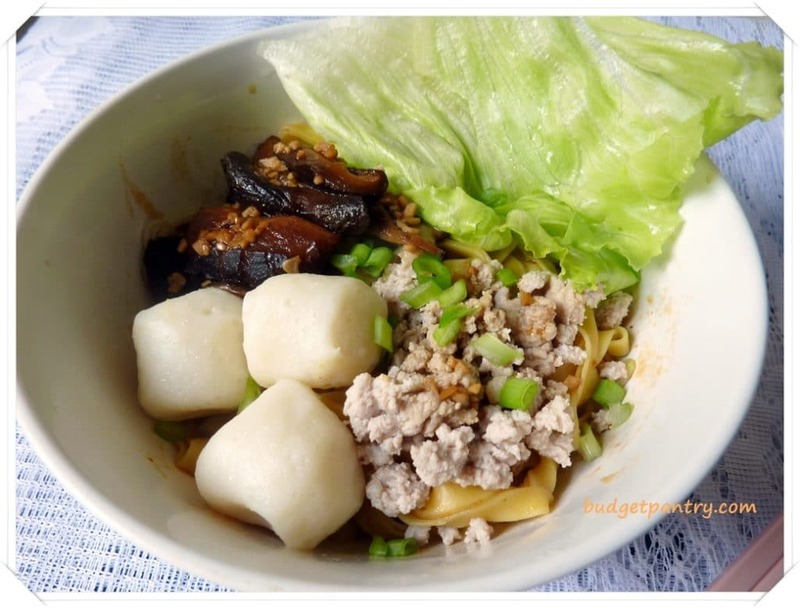 Arrange mushrooms, minced pork, fishballs, meatballs and lettuce and sprinkle chopped spring onions on top. Enjoy your bak chor mee! I have been trying to re-create Bak Chor Mee at home for the last 11 years and have never been anywhere close to succeeding so I’m definitely going to try this. Thanks for sharing! May I ask what brand of black vinegar did you use? Would be great if you can take a picture of it. Thanks.